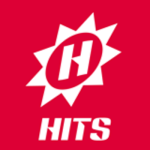 Hitparty: a Dance, Pop radio. Posted in Dance, Pop. Tagged with Dance-Clubbing, Hits, Hits FR, Hits UK, Hits USA.